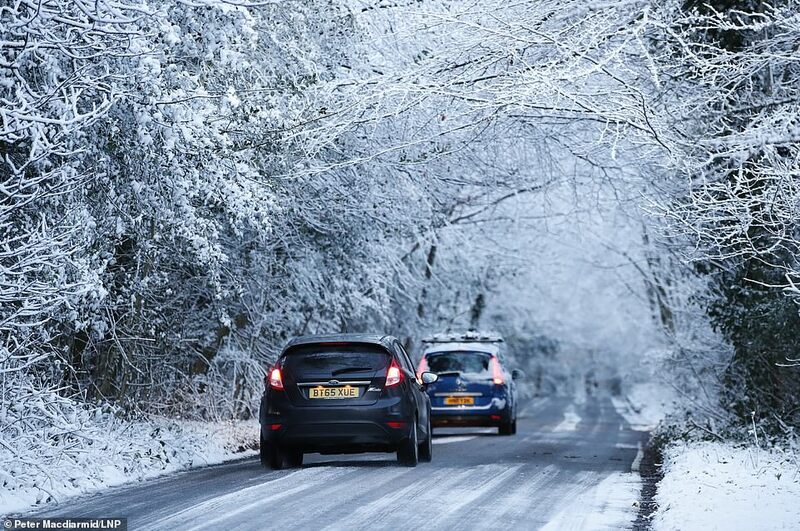 Britain faces 'very significant snowfall' this week with temperatures expected to fall to -11C (12F) as the Met Office extended weather warnings today amid school closures and travel chaos that shut a major airport. 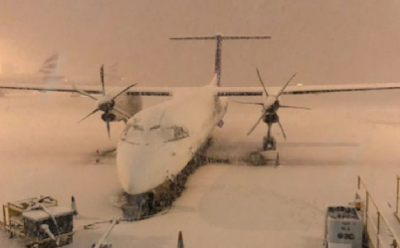 Moisture blown in from a storm in France teamed with Arctic winds from the North has led to flurries and sub-zero conditions, with Transport for London activating their cold weather strategy and running de-icing trains overnight. A further weather system forecast to arrive tomorrow could break this winter's current record low of -10.8C (12.6F) set on January 18 in Aberdeenshire, and bring up to 4in (10cm) of snow even to parts of southern England. 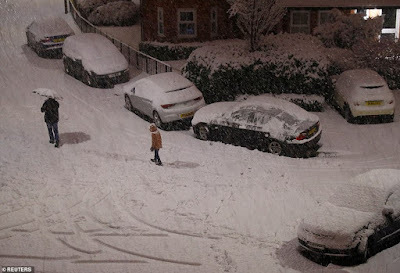 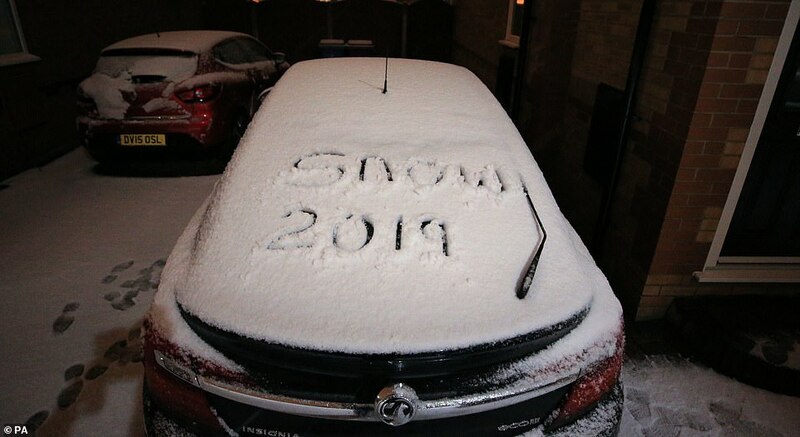 Snow fell overnight in London, but forecasters said the 'messy' nature of the weather front, which was a mixture of snow, sleet and rain, meant the problems it caused were 'patchy' and not as widespread as feared.